Born in Thame in the summer of 1893, Ralph Eaton was one of 11 children of Elizabeth and Charles Eaton, living in Park Street. 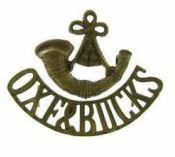 In late 1913, he enlisted with the 4th (Territorial) Battalion of the Oxfordshire and Buckinghamshire Light Infantry (service number 1893). Landing in Boulogne, on the 30th March 1915, the battalion, now the 1/4th, was part of the 145th Brigade in the 48th (South Midland) Division. The battalion was mainly in trenches during 1915 and 1916 until the commencement of the Somme offensive on the 1st July, from whence it took part in a number of battles at Albert, Bazentin Ridge, Pozieres Ridge, and the Ancre Heights, and the Ancre. On 17th November, 1916, during the Battle of the Ancre, the last major action of the Somme offensive, Private Eaton was serving as a battalion HQ orderly in support trenches near the village of Martinpuich. At about 3 pm. 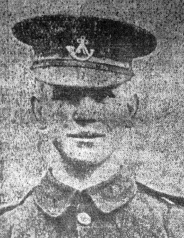 shells fell about 15 yards outside and immediately opposite the entrance to the battalion HQ, killing Lieutenant Lake and Private Eaton, who were just outside. Ralph Eaton was 23 years of age. 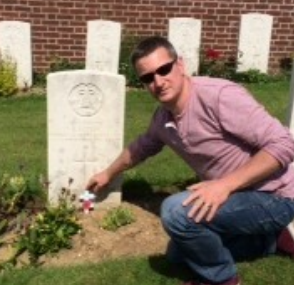 According to the letter sent to his parents from his former platoon commander, he was buried in the nearest cemetery on the same day, now the Martinpuich British Cemetery, and is remembered in Thame on the War Memorial.